Hasselblad has released the latest version of its Phocus software that is designed to manipulate images from its H and X series cameras, and the CFV digital back. 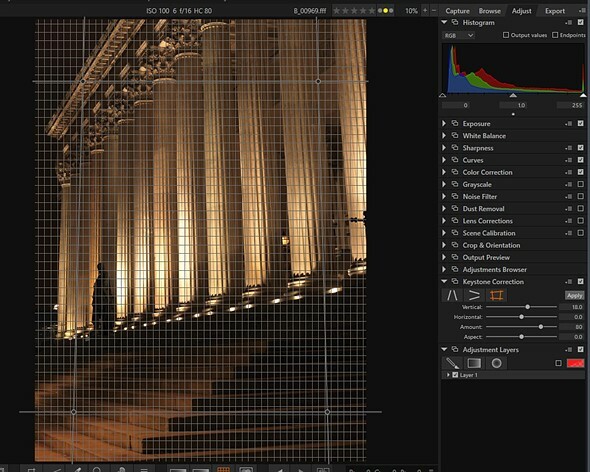 The 3.1 version adds a new perspective control palette that allows both vertical and horizontal corrections against grid-pattern guide lines, which is something users have been requesting for some time. This should make life easier for those shooting architectural subjects, flat coping and product photographers, among others. A second new feature is a highlight recovery tool that can be used via a selection on an adjustment layer. 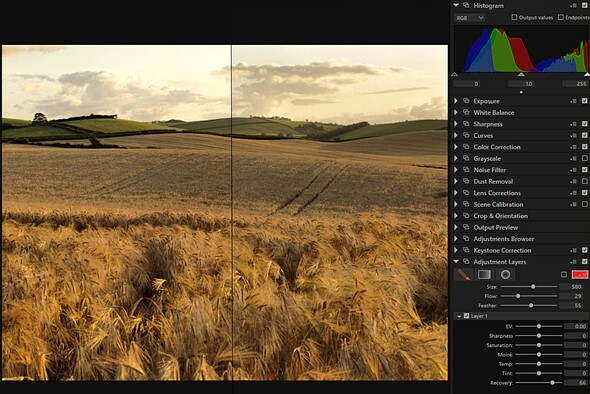 A mask is painted over the area that needs drawing back and a slider control pulls in the over-bright detail. The company has also added a pair of new settings for its Reproduction menu that governs color and contrast settings in the display. Reproduction Low Gain creates a lower contrast image while Negative inverts colors and tones – which will be useful for creating film negatives for other processes. Version 3.1 of Phocus is available for download on the Hasselblad website. The eagerly awaited update to our rich image processing software has just been released, bringing with it additional features and benefits. In the reproduction tool you now have the choice of 2 additional response modes. Reproduction Low Gain enables an even higher quality linear response. The new Negative response is suitable for reproduction of black and white negative film. We have partnered with UK professional photographer Karl Taylor to produce a series of Phocus Tutorial videos. They can be accessed through the Phocus product page and you will need to log in to view them.